Jordanian government files complaint with Israel over court decision that Jewish teenage girls have right to pray near Temple Mount. The Jordanian government filed an official protest with the Foreign Ministry over the Jerusalem Magistrate's Court's decision to reject the petition of the police to distance three 14-year-old girls who had prayed at the entrance to the Temple Mount. In his decision last week, Justice Shmuel Herbst ruled that the right of young Jewish women to pray at the Temple Mount gates was no less than the right of the Arabs and that police should allow the young women's prayers. During the hearing, the judge accepted the claims of attorney Itamar Ben-Gvir, who represented the girls, and ruled that the police should not detain the young women praying near the holiest site in Judaism and deny them their basic rights. However, the Jordanian government rejected the ruling of the Israeli court, and sent a letter of complaint to the Israeli foreign ministry, "The Jordanian government submits its complaint to the Foreign Ministry of Israel and expresses Jordan's position on recent developments that violate the historic status quo in the holy site of East Jerusalem - including Waqf property near the Al-Aqsa Mosque ... The Jordanian government wishes to remind Israel of its obligations under international law as the occupying Power of East Jerusalem, and the Jordanian government strongly protests and condemns the government's approval of religious ceremonies near the Temple Mount ... and according to the rules of international law, the Kingdom of Jordan also rejects the authority of Israeli courts and the applicability of Israeli law to the total area of ​​East Jerusalem...including recent legal procedure that allows a Jewish prayer outside the gates of Al Aqsa staff Haram al-Sharif." Ben Gvir responded: "There is no limit to the chutzpa in the Jordanian complaint. I expect Prime Minister Netanyahu to summon the Jordanian ambassador to Israel for a harsh reprimand ... in the course of which he will make it clear to him that the courts in Israel are independent courts and do not work for the Jordanians, and even more so because Jerusalem was liberated by the State of Israel and Jews can pray everywhere in our holy capital. 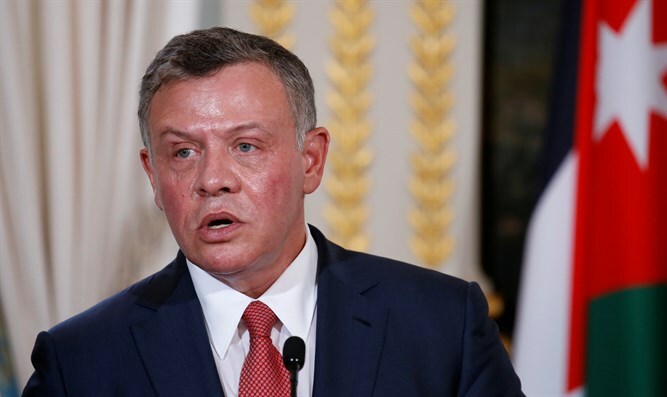 Apparently, the Jordanians are confused and believe that Israel is not an independent state and it is time for the government in Jerusalem to make clear to the Jordanians what should have been clear to them long ago: Israel is the sovereign in Jerusalem."